Welcome to Fairway Caravan Sales. Our holiday homes are located at Fairway Holiday Park, which is situated on the outskirts of Sandown, next to the Golf Club and just a short distance to the award winning sandy beach. The park is located for easy access by car, train or even your own private plane. All our plots are available with a hard-standing to park the car, and garden space all around. All owners caravans are situated separately to the holiday section of the park in a tree-lined environment, ensuring a peace and tranquillity at all times. Access is gained to the park via an electronically controlled barrier, giving you perfect peace of mind that your holiday caravan is safe and secure. We are open for 10 months of the year for you to enjoy - from March 1st to January 3rd. 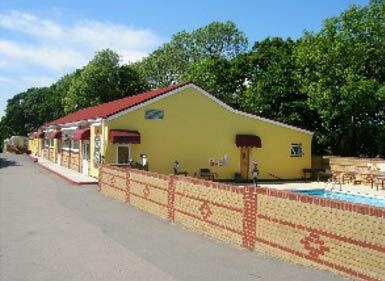 Fairway Holiday Park is the ideal setting for a carefree, relaxing holiday experience with all the benefits of having Sandown and Shanklin right on your doorstep. Easy to get away and easy to relax and enjoy. All owners´ caravans are situated separately to the holiday section of the park, in a tree-lined environment ensuring peace and tranquillity at all times. Just look at what Fairway Park has to offer.